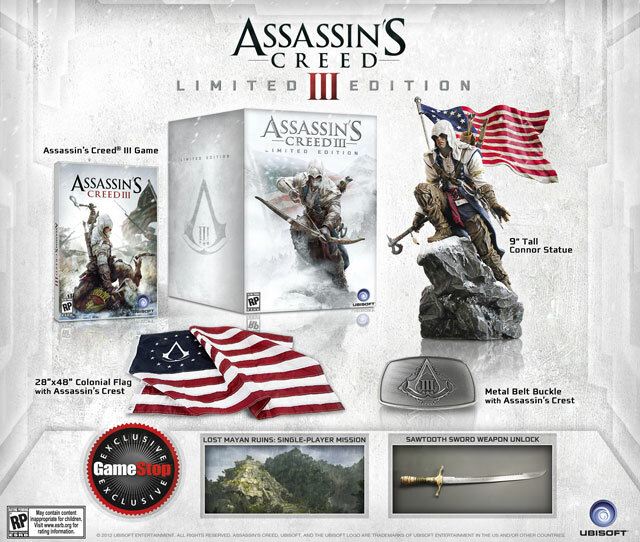 MashButtons: Assissin's Creed III trailer has me shouting Amurica! Assissin's Creed III trailer has me shouting Amurica! I have got to hand it to Ubisoft and their marketing team for some amazing work on promoting their upcoming title. Over the past titles, it seems as though the trailers have been getting more and more intense. With this recent trailer, an epic Revolutionary War battle is unfolding and by the end you will be screaming RAMPAGE on your way to pre-order. If you, like myself love collectors editions of your favorite titles, I swore Borderlands 2 would be the only one I purchased this year until now, because there is get some great stuff included, the bust is what did it for me. 3D, Dungeon Crawling, Online Coop…Yes Please!